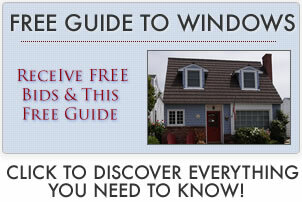 Find Window World costs and pricing for their window series, lines and products. The company is known for selling affordable or discounted vinyl windows with quick installation. There are lots of poor Window World reviews out there, but are good ones too – and here is why. Window World is a franchise so the installation and service is dependent on the individual franchise. What seems to be most important for the consumer is to make sure that the installer who will be doing the work has a good reputation and reviews – Window World gets knocked for paying their subs by the window, which is a receipe for quick installation that is not necessarily top quality. Window World offers their low end vinyl window at $189 installed. This will usually be either a Comfort World 400 series or an Alside Excalibur. Neither one of these windows is particularly good (for a list of our top budget windows, click here) and will provide some less than ideal performance numbers because of the inferior design and craftsmanship. From the base $189 price, there is effectively an ala carte menu that will add to the per window cost, items such as warranty, low-e glass, better hardware, spacer, insulation in the installation etc. This price range will usually involve the same window as the base model, but with all of the “upgrades” that a customer wants. The upgraded window is either a Comfort World 6000 or an Alside Ultramaxx. The Ultramaxx is Alside’s best vinyl windows, although for this price most contractors would suggest looking at some mid range manufacturers to find a better window at a comparable price.